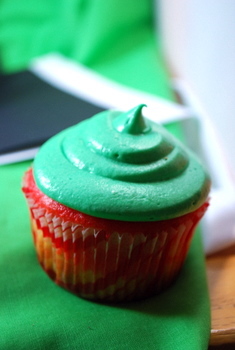 This is a final reminder for anyone who wants to enter the Baking Bites Holiday Cupcake Contest. The contest closes to entries tonight at midnight (12/20/08 at 11:59pm PST, to get very specific! ), so this is your last chance to take some photos of holiday cupcakes – whether they were made by you, your best friend, your children or your favorite local bakery – and upload them to our Contest Flickr Gallery. 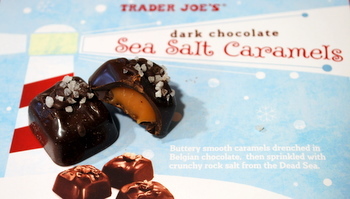 Also, on an unrelated note, I’d like to point out that Trader Joe’s is selling their Dark Chocolate Sea Salt Caramels again this year. They’ve been on the shelves for a little while now and are insanely good. They might not last long after the holiday season, so I’d suggest giving them a try while they’re available and stocking up on a couple of boxes while you can. These also make great gifts, since Trader Joe’s sells them for about $6 and I’ve seen similar boxes of salted caramels in other stores (like Crate & Barrel) for upwards of $20 each! A viewer from my website, http://www.godairyfree.org, saw your vegan cheesecake recipe in a magazine (noting you as the author) and has been using it ever since. Her family loves it! 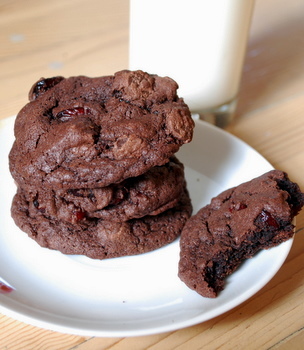 Anywho, she submitted it to post in the recipes section of Go Dairy Free. 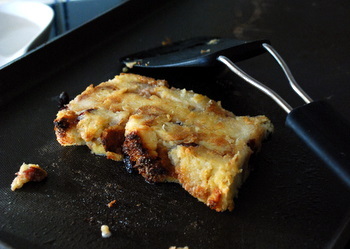 I would like to get your permission not only to reprint the recipe, but also the photo, as I would like to feature it on the front page of Go Dairy Free. I tried to comment in that post, but received an error and couldn’t find your email! Please let me know if that is okay via the email I submitted with this post. Thanks so much! I love your blog btw! Happy holidays! Awesome site! I’m glad I found you, as this site is the perfect inspiration for my commencement of holiday baking. Thank you for the delicious ideas as well as the variety of recipes. I discovered those TJ caramels as well and agree they are TO DIE FOR. I’m pretty sure at least 3 of my holiday poundage can be attributed to them.